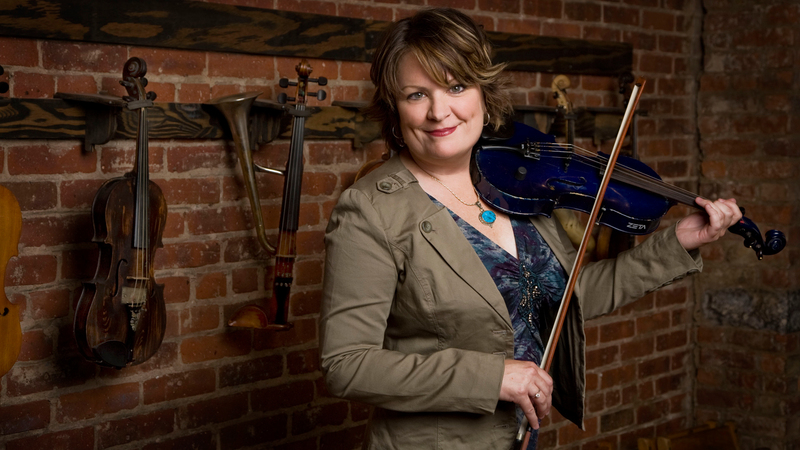 Eileen Ivers has firmly established herself as the pre-eminent exponent of the Irish fiddle in the world today. Her long list of accomplishments includes a Grammy award, Emmy nomination and headline performances with the London Symphony Orchestra, Boston Pops and over 40 orchestras across the world. Fiddler Eileen Ivers will change the way you think about the violin. She’s been hailed as “a sensation” by Billboard magazine, “a virtuoso” by The Irish Times, “the Jimi Hendrix of the violin” by The New York Times and “the future of the Celtic fiddle” by The Washington Post. Fiddler Eileen Ivers has established herself as the pre-eminent exponent of the Irish fiddle in the world today and is a pioneer and educator in her musical field. Grammy winner and Emmy nominated, Eileen has been the guest star with over 50 orchestras including the London Symphony Orchestra, Boston Pops and Cleveland Orchestra. She was the original musical star of Riverdance, nine-time All-Ireland Fiddle Champion and All-Ireland Banjo Champion. She has collaborated with Sting, The Chieftains, Patti Smith and Al Di Meola. Eileen was a founding member of Cherish the Ladies and has performed on movie soundtracks including Gangs of New York and Back to Titanic. Ms. Ivers has performed for presidents and royalty worldwide. It is a rare and select grade of spectacular artists whose work is so boldly imaginative and clearly virtuosic that it alters the medium. It has been said that the task of respectfully exploring the traditions and progression of the Celtic fiddle is quite literally on Eileen Ivers’ shoulders. The Washington Post states, “She suggests the future of the Celtic fiddle.” Billboard Magazine calls Eileen “a sensation”, the Irish Times raves “a virtuoso”, and her hometown New York Times recognizes Ivers as “the Jimi Hendrix of the violin.” Ivers’ recording credits include over 80 contemporary and traditional albums and numerous movie scores. Even though she has won over 30 All-Ireland Championship medals (one of the most awarded in the history of the competition), Eileen is hailed as one of the great innovators in the Celtic, Roots and World music genres. She has influenced scores of young players in these traditions. Her latest recording is 2016 release, “Beyond the Bog Road” on eOne Records which Irish Music Magazine called “a triumph …a musical Magnus-Opus.” The album reached number one on the Alt-Country Roots Music Chart. The CD and its extensively researched sixteen-page liner notes focuses on the influences of the Celtic tradition on Roots music (bluegrass, French-Canadian, Cajun, Appalachian, Americana) and how the music journeyed on to become a fundamental ingredient of the American Country music tradition.